A couple days ago I noticed a red-pink bump under my dog's right eye. It didn't seem to bother her so I thought she was fine. Yesterday it got a little bigger and she was playing and it popped and some blood came out and I wiped it away but her energy and appetite didn't change or anything. Today I noticed that now it's growing along the bottom of her eye a little wider. I'm not sure if it's serious or not and wondering if you could help me. She's still very playful and eating the same and it doesn't seem to bother her at all. She doesn't paw at it or anything. I'll email photos of what it looked like when I first noticed and what it looks like today. Please help! This is a tough question to answer. 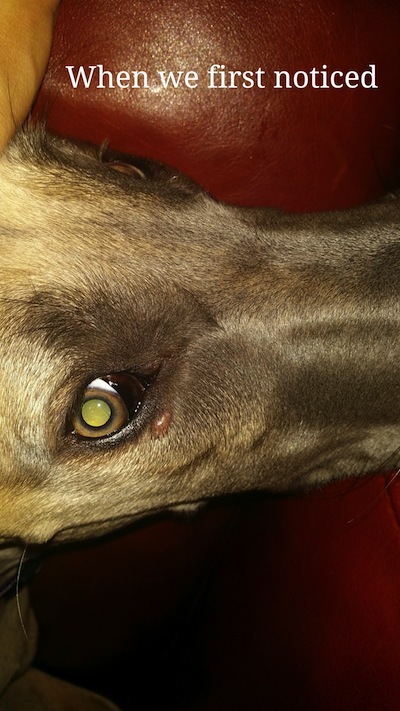 If the lump was on the dog's eyelid then I would think it is something called a meibomian gland adenoma. But, we don't see these on the skin below the eye. In fact, there really isn't a specific condition that I can think of that looks like this. My first thought is that this could be a mild abscess as the result of some type of small penetrating object like a splinter. If this is the case, it might be healed now that it has popped. At this point, I would keep an eye on things. 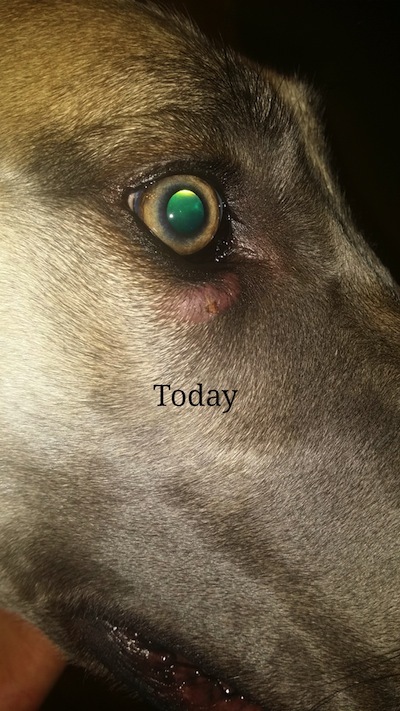 If it comes back again or has not completely cleared up in a week or so then I would have your vet take a look. I think that it is unlikely to be some sort of cancer, but if it's not clearing up your vet may want to do some tests. There's not a whole lot you can do for it in the meantime other than just watch it for now.